Create beautiful, intricate colorwork the easy way, with slip-stitch knitting! 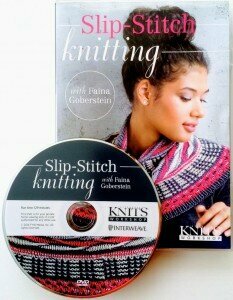 In this complete workshop, Faina Goberstein demonstrates how to create inspired, distinctive designs just by moving stitches from one needle to the next. Using only one strand of yarn per row, the techniques presented are appropriate for any skill level. Know how to knit and purl? You’re ready to go! For more accomplished knitters, create your own designs using simple charts and geometric patterns for a piece that’s truly unique. 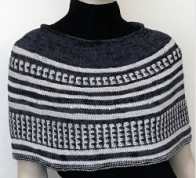 As an extra bonus, practice your new slip-stitch skills on an original, free cowl pattern, included in this video workshop.